Sophistication and practicality. 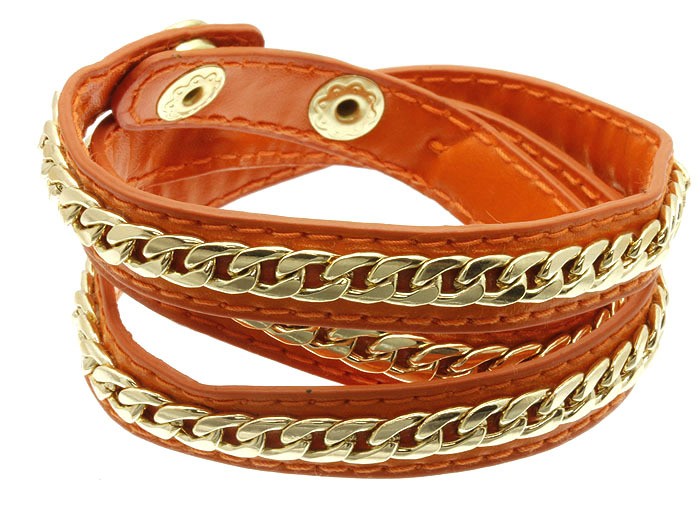 The Jaylynn wrap-around cuff is crafted from Hermés Orange leather, then laid with gold-plated Cuban chain link. For a timeless touch. Shop from one of Australia’s finest online fashion jewellery stores right here, right now!